This service is provided independently by Gordon Associates and all submissions are subject to the Data Protection Act. Your submission is stored securely within the Barometer of Trade and cannot be accessed by any other members or administration staff of your association. If you have any questions please contact us at info@barometeroftrade.com or on 01242 529820. 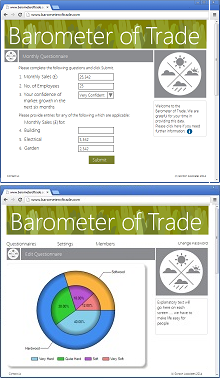 The Barometer of Trade enables you to present a tailor-made questionnaire to your members – and automatically builds an online industry trends report from the data that has been submitted.  We can either provide you with the software to manage your own data collection program – or, more normally, we provide a fully managed, independent service to give peace of mind to your membership. We work with you to design an effective questionnaire for your members. We believe it is vital to ask clear, concise questions in a manner that will allow people to submit their answers as rapidly as possible. We then test the questionnaire on a small number of respondents and will review the feedback with you before making any changes. Only when the complete process is fully tested, will we send out invitations to your members. This is the typical mode of operation but we are happy to design a process that is tailored to your preferences, which delivers the most efficient service to your membership.